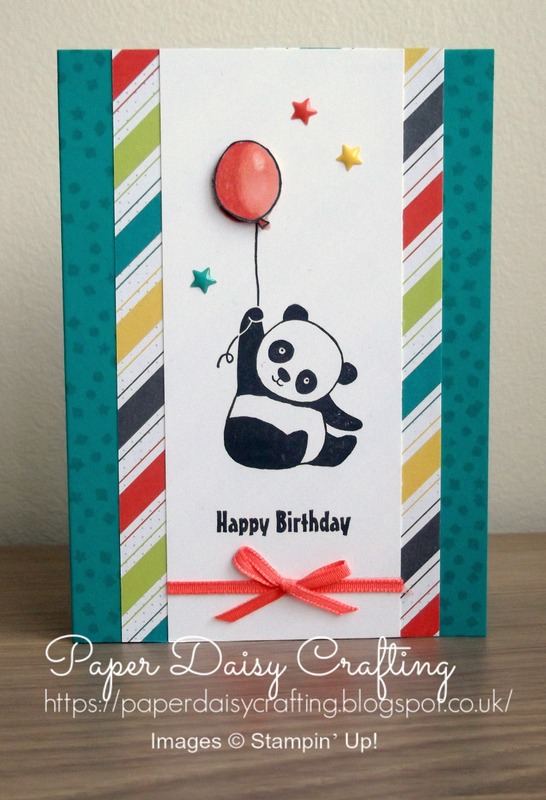 Paper Daisy Crafting: Another Party Panda card from Stampin' Up! 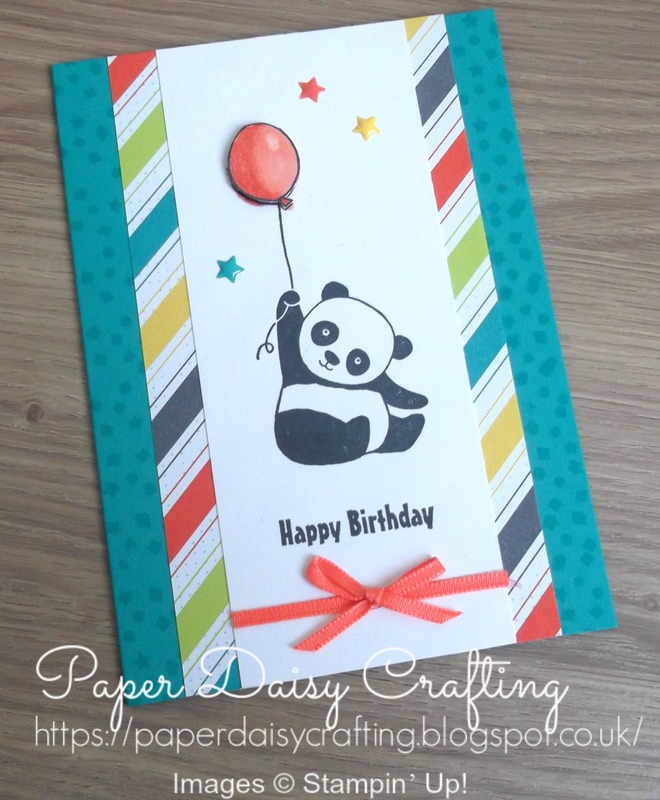 Another Party Panda card from Stampin' Up! As promised last time, I am back to show you another of the cards we made at my recent card class. As you are probably already aware, you can get the Party Panda stamp set absolutely FREE during Sale-a-bration - just don't miss out - there are only a few days left and then the pandas will disappear forever!! And I wonder if any of you can spot that there is another FREE Sale-a-bration product used on this card? Yes the patterned paper is from a pack called "Bubbles and Fizz" and again will only be available for a few more days. We stamped on the the Bermuda Bay card base using the little confetti stamp from the Party Panda set using Versamark ink - makes a very effective but subtle background. And aren't those little stars so cute. The are from enamel shapes pack - you get two sizes of circles, stars and hearts. So pretty. Again, I have made a little video tutorial to show how the card was made. Please click HERE or on the image below to view it. If you enjoy watching it, I'd really love it if you subscribed to my channel - then you'll never miss out whenever I publish a new tutorial. Or you could sign up to the right of this page to receive email notifications whenever I post - I always put my videos on my blog so again you won't miss out! Back soon with the third card we made - a bit more tricky! !